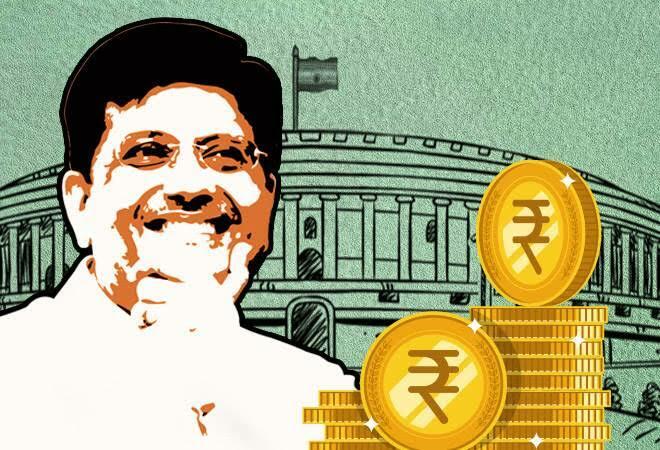 Interim Finance Minister Piyush Goyal on Friday presented ‘Interim Budget 2019′ ahead of Lok Sabha 2019. Goyal keeping in mind that the Polls declared massive sops for all classes such as Farmers, taxpayers, youths, etc. Finance Minister made some statements including increasing tax rebate up to five lakhs income, Rs 6,000 to Farmers annual to double their earnings by 2022, and others.
. Starting his Budget Speech while acknowledging the lack of Arun Jaitley, he kicked his Budget Speech off using an announcement on reforms of Banking Sector. The inflation was controlled, stated FM Piyush Goyal while mentioning December 2018 Inflation rate at 2.19 %. He explained Fiscal Deficit was brought down and FDI policies revised. Farmers having up to 2 hectare of lands will get Rs 6,000 per year in three equal instalment. The scheme will be effective from December 1, 2018. Indian Customs to fully digitised exim transactions and leverage RFID for logistic. Govt abolishes duties . Gratuity limit increased for workers to Rs 30 lakh. Rs 60,000 crore for rural development. Govt increases defence budget to over Rs 3 lakh crore. Govt will provide additional funds for Defence, if needed. For FY19, government has revised the fiscal deficit target to 3.4 percent in FY 19. Fiscal deficit for 2019/20 estimated at 3.4 percent of GDP.